Key achievements: Appointed as the Chief Minister of Maharashtra in 2010, Member of the Rajya Sabha, In charge of the Prime Minister’s Office, Minister of State for: Ministry of Science and Technology, Ministry of Earth Sciences, Ministry of Personnel, Public Grievances and Pensions, Ministry of Parliamentary Affairs and Department Of Atomic Energy. 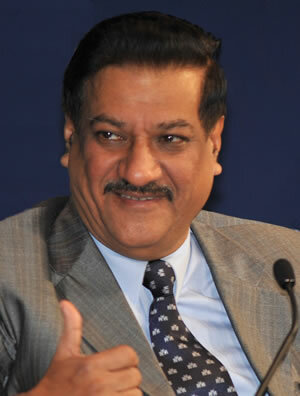 Prithviraj Chavan is a member of perhaps the most influential party in the political history of India, which is the Indian National Congress. He is notable for his affiliation with the Indian government as he served as the Minister of State for a variety of ministries and central departments in succession. However, his claim to fame was when he was appointed as the 22nd Chief Minister for the state of Maharashtra. Prithviraj Chavan belongs to a family whose political pedigree has been serving India right since the country’s Independence from British rule. Chavan was born on March 17, 1946, to politicians Dajisaheb Chavan and Premalakaki Chavan, his father and mother respectively. Dajisaheb Chavan, who was also known as Anandrao Chavan, was a Member of the Lok Sabha from the Karad constituency. He served as a Minister in the cabinets of illustrious Prime Ministers like Jawaharlal Nehru, Lal Bahadur Shastri and Indira Gandhi. Chavan is among the elite crop of politicians of India, who have an enviable educational background to their names. Chavan graduated in mechanical engineering from the prestigious Birla Institute of Technology and Science in Pilani, Rajasthan, India an institution that still features at par with the famed IITs of India. He later went on to obtain the degree of Master of Science, from the University of California, Berkeley, USA during which he wrote various research papers on computer science, engineering design, and also the contribution of research in computerization. Exactly like his mother Premalakaki Chavan, who took to politics upon the demise of her husband, Prithviraj Chavan too stepped into the political battlefield in the year 1991 in place of his mother, who passed away the same year. Chavan managed to successfully prolong his family’s hold on the constituency of Karad, as he won the seat thrice, in 1991, 1996, and 1998. However, the family’s monopoly over the constituency came to an end when Chavan lost out to his rival in the elections of 1999. As part of the Indian National Congress, Chavan later went on to play a series of roles as and when required by the party. Some of the prominent designations that he carried out during this period included: Minister of Science and Technology, Minister of Earth Sciences, Minister of Personnel, Public Grievances and Pensions, Minister of Parliamentary Affairs and in charge of Prime Minister's Office. Nevertheless, the most important feather in his cap was his appointment as the Chief Minister of Maharashtra in the year 2010. In the aftermath of the Adarsh housing scam of 2010, a number of politicians came under the radar of the CAG, i.e. the Comptroller and Auditor General of India, for many illegal practices and malpractices such as underhand corruption, manipulation of official records, siphoning of government revenue, etc. However, the most notable name that came as a blow to the Congress was the indictment of Ashok Chavan, then Chief Minister of Maharashtra, as a major wrongdoer in the housing scam. Ashok Chavan was immediately sacked as a knee-jerk reaction on the Congress’s part, but it was still reeling under the shadow of the scam and CAG’s ambit. Prithviraj Chavan came to the Congress’s rescue at the time, as he was one of the rare breed of politicians to have a clean image in the eyes of the public. As it was expected, Prithviraj Chavan became the 22nd Chief Minister of Maharashtra, as Congress’s clean chit out of the Adarsh controversy. Successfully convinced Jairam Ramesh, the Minister for Environment and Forests to give the environmental clearance for the much delayed Navi Mumbai International Airport. Instrumental in fostering the establishment of Jaitapur Power Project through direct counseling of netizens. Announced reformations in higher and technical education in Maharashtra. Promoted research at the University level by providing enhanced scholarships so that people can take up the work full-time. Took staunch steps to curb corruption in cooperative sector through RBI by dissolution of Directorate of Maharashtra State Cooperative Bank. Put down builder lobby having background of unfair practices in urban areas, especially in Mumbai and Pune. Took key decisions in reforming Tax structures at local body levels through replacement of Octroi by Local Body Tax (LBT). Initiated a Government Resolution on the long pending issue of development of cessed buildings thereby doing away with the conventional Mantralaya brokers who reigned the fate of lakhs of middle class populace of the city of Mumbai for decades. In conclusion, it can be said that Prithviraj Chavan has and is increasingly proving to be a major trump card for Congress, as it readies itself for the electoral battles up ahead.